I'll be voting for the Pirate Party in the upcoming general election. Here's why. It's time to end digital illiteracy. Internet policy is an area on which the major parties are both astonishingly ineffectual and terrifyingly illiberal. Amber Rudd has been much mocked for her reference to people who "understand the necessary hashtags". Less amusingly, but more importantly, Rudd has spoken of her desire to ban encryption, a move which is both anti-privacy and anti-business. End-to-end encryption is crucial for banking, for instance. You'd think there'd be outcry, or at least that Labour would use the issue to score some points. But that hasn't happened. Online privacy and security is a matter of life and death, as the recent NHS attacks have shown. It's an open question whether the underfunding that allowed our NHS to get so royally screwed over was a result of miserliness, cynical targeted defunding, incompetence, or all three. In any case, it's clear that this isn't a purely abstract issue: increasingly, it's a matter of defence. This could well be the form that future warfare typically takes. Anyone who made as many gaffes when discussing Trident as Amber Rudd has made when discussing encryption and digital rights would be considered a danger to national security, and unfit to hold office. Meanwhile, the Labour manifesto only mentions "cyber warfare" in the vaguest of terms (p120), and elsewhere states that it will require tech companies to take measures against online abuse and inappropriate content for children (p96), without any indication of how this could be done while respecting basic civil liberties. (The corresponding section in the Conservative manifesto, p79, basically sings from the same hymnsheet, but is even more disturbingly authoritarian.) I'm sick and tired of the continual erosion of our civil liberties in the name of the fight against terrorism and paedophilia. The Pirates understand the necessary hashtags. Just look at their manifesto. Lucy Powell is a Labour careerist, who has almost never defied the whip: only twice in 607 votes, of which the most recent rebellion was in order to support airstrikes in Syria. To me that indicates a lack of independent thinking and moral fibre. She was also part of the damaging attempted coup against Corbyn. I've written before about my reservations with regard to Corbyn, but he didn't deserve that - and, more importantly, neither did the country, given the move's deleterious effects for Labour credibility in the run-up to this election. The first time I emailed her about an issue I considered important, I got no reply, but I was added to her mailing list. "But we need to get the Tories out!" I'm a leftie and a liberal, so I agree. If I were in a swing seat, I'd be voting for the party most likely to oust the Tories. But Manchester Central is an incredibly safe Labour seat, where Labour have never received less than 50% of the vote. Perhaps. Certainly the chances of getting a Pirate elected are vanishingly low. But we shouldn't underestimate the effect on policy that an electoral threat can have, even without elected representatives. The prime example here is UKIP, who never once succeeded in getting an MP elected (if we discount temporary turncoat Douglas Carswell), but whose policies are nonetheless reflected to an alarming degree in the current Conservative manifesto. The Labour Party in the northwest has called out the Pirates by name before: then-MEP Arlene McCarthy was concerned about potentially losing votes over net neutrality. One thing's for sure: this is not a protest vote. I'm voting for the party that I want to win. 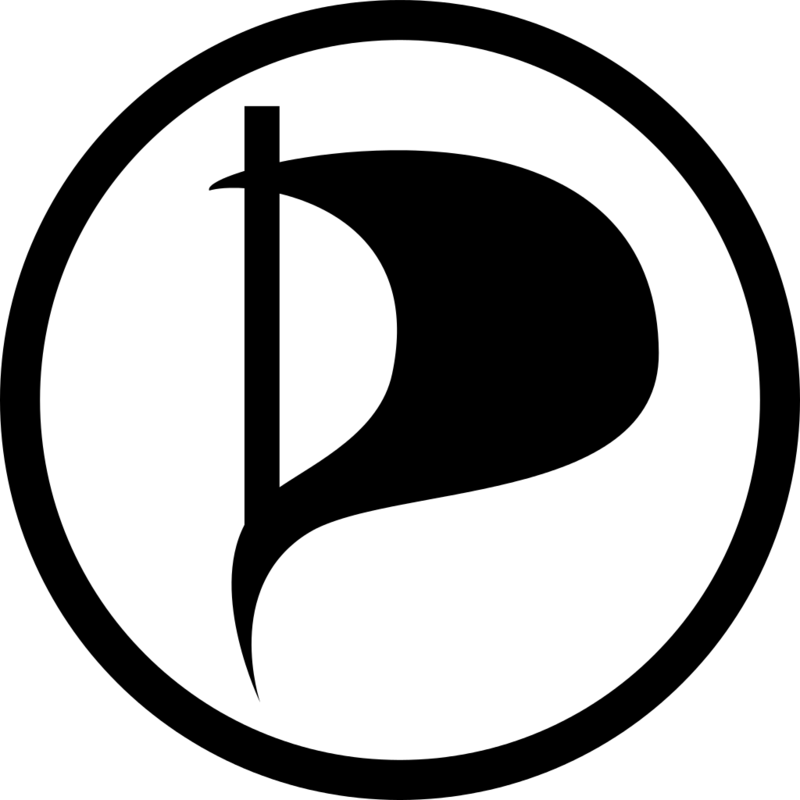 I would love it if a Pirate MP was elected in Manchester Central. The combination of liberal principles and evidence-based policymaking is a great one, and so I wish Neil Blackburn all the best for his campaign. Full disclosure: the author is a former member of the Pirate Party UK National Executive, and is currently living and working as an immigrant in Germany. Three new varieties for me to try! That means little that's new until the autumn... but I've already noticed some that have sneaked in below the radar since I was last paying proper attention (2007), so it won't be an entirely choc-free summer. This one definitely does it for me, to the point of being one of my all-time favourites. When you open the pack, the blackberry flavour just bursts out at you, and it's well-balanced in terms of sweetness and sharpness. Pity it isn't going to stick around. I'll admit: I'm biased. I don't think anything should ever be grapefruit-flavoured, and I don't think I'm alone in that. So the main saving grace of this one is that the grapefruit flavour is fairly moderate, rather than overwhelming as in the Brombeer Joghurt. White chocolate was a nice touch, but can't save it.